​From their separation in 1947, the relations between India and Pakistan, the two neighbors nations (counting respectively 1.33 billions and 200 millions inhabitants) born from the same English colony, have never been peaceful. The two countries faced each other in several wars and every time for, more or less, the same reason: the Kashmir region. To put it in a nutshell, India, that has a Hindi majority, claims the entire Kashmir region based on what was written in the 1947 founding treaties, while the Islamic Republic of Pakistan claims the region because of the high Muslim majority living in it. The last conflict, dated to 1999, far from finding a solution, contributed to exacerbate the tensions between the two countries and ended only with the US intervention who feared the conflict turning into a nuclear war (the two countries are both equipped with nuclear weapons). After a relatively stable period, tensions rose dramatically last week when, on February 14th, a suicide terrorist attack killed more than 40 Indians soldiers in New Delhi. In response, the Indian government launched an airstrike on the terrorist training camp run by Jaish-e-Mohammad (“the Mohammed soldiers”), situated in Balakot, crossing the Pakistani airspace. The strike caused “a very large number of deaths” according to Indians officials, who have also repeatedly accused Pakistan to finance terrorists. And the story did not end here. The tension peaked when the Pakistani announced to have captured an Indian pilot after the attack and, even though in the last days Pakistan sent back the pilot as a “peace gesture”, tensions do not seem to ease as soldiers on the Kashmir border continue to exchange heavy fights, killing seven people on Saturday. But what are the implications of this conflict for investors? Is there a relation between tensions and the stock market? Uncertainty is always negatively correlated to stock performances. As it becomes harder for investors to predict the future, it becomes harder to calculate the cash flows associated to an investment and, as risk increases, prices decrease. ​A war (and especially its effects on businesses, consumer confidence, investments...), being unpredictable, should logically be always associated to a stock market collapse. However, in the Indian case, it has not been so or, better said, its impact has been very small. Both in 1999 and today. But why did such huge escalating tensions had a so small effect on the Indian stock market? Shouldn’t that be against all the stock market principles? 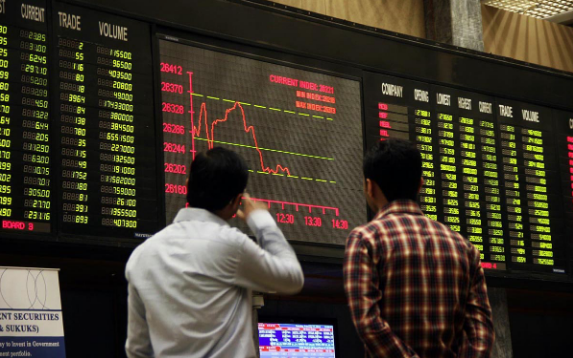 Primarily, the small reaction of the stock market to these tensions is linked to the experts’ common view on the war: a real conflict is very improbable as it would be unsustainable for Pakistan. In fact, even if we forget that the Indian population is 6.5 times as big as the Pakistani one, that the Indian military budget is more than 5 times bigger and that almost all military data and conflict history are in India’s favor, it is enough to analyze the economic data of the two countries to conclude that Pakistan would not be able to sustain a war. Pakistan’s foreign reserves amount to only $8bn, which is sufficient to cover their imports for barely 2 months, their current account deficit amounts to 8%, which is worrisome, and an important part of their exports goes to India. 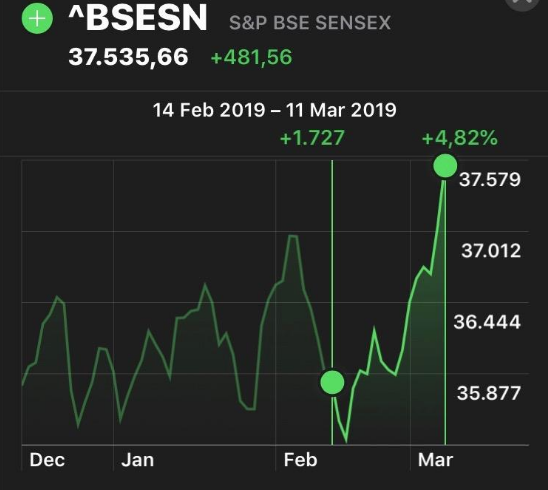 ​This is clearly enough to understand why these tensions did not have a big impact on the Indian stock market: the future of the war is not uncertain.